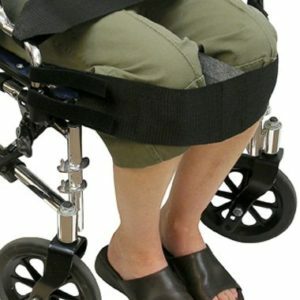 Padded Security Buckle Wheelchair Hip Belts have a metal security buckle to reduce accidental/unwanted user release, as well as increasing safety for those that self release and also wear a chest strap or positioning vest. The pads are attached to the straps, and a single finger pull adjusts the belt to user. Hardware to attach to wheelchair is included. Manufactured by Therafin. 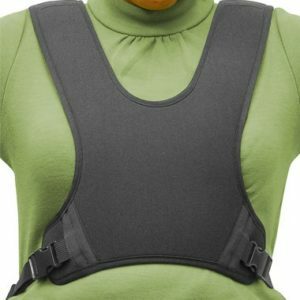 Padded Security Buckle Hip Belts have 1.5″ straps and are 58″ long, fully extended without attaching hardware. Choose the padded area dimensions. 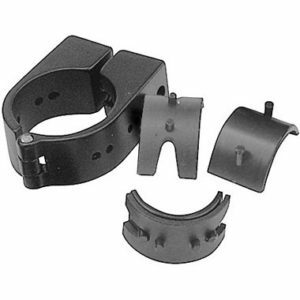 Molded Shoe Holders are designed for strength and durability. The sides are parallel to hold shoes, and the rear heel relief helps high tone individuals. The ankle strap slots are angled for a comfortable fit. 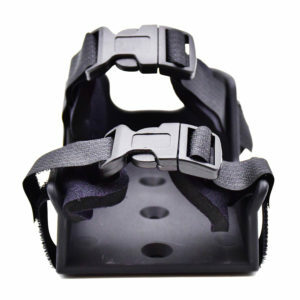 Comes with plain non-padded straps pre-attached, and hardware to attach them to footplates. The mounting holes are 1.5″ on center. Manufactured by Therafin. 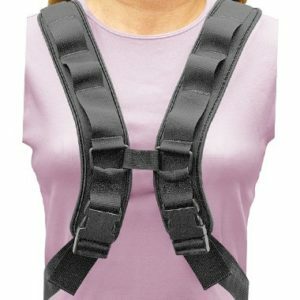 The X-Harness is a cushioned harness with reinforced webbing that allows minimal stretch. The extended upper straps go over the shoulder, stand behind user and pull the finger loops to adjust them. 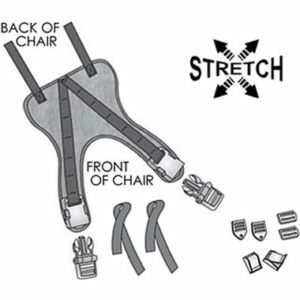 There are four quick release buckles on the X-Harness. Hardware to attach to wheelchair is included. Manufactured by Therafin. 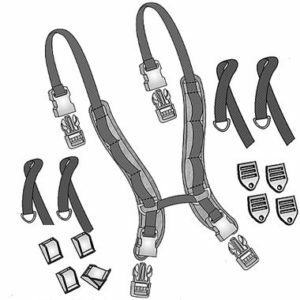 The Seat Harness has long adjustable front straps that go over the thighs. Position the harness under the buttocks, with the front straps/buckles between the legs. 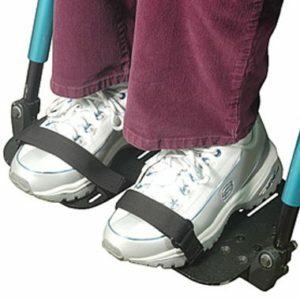 Metal clips and cam lock buckles to attach the harness to the wheelchair are included. Manufactured by Therafin. Extended Strap Wheelchair Vests have long upper straps that go over the shoulder. The flexible blended neoprene material can be hand washed and air dried. 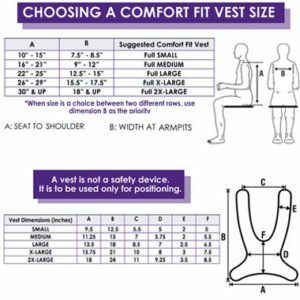 Sizes available to comfortably fit bariatric users. Keep your vest clean with a washable Extended Strap Vest Sleeve. Comfort Fit Wheelchair Vests have Therafin’s new exclusive hinged buckles that help shoulder straps stay secure at various angles. The flexible blended neoprene material can be hand washed and air dried. 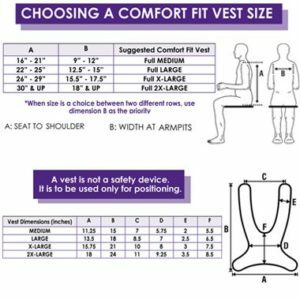 Sizes available to comfortably fit bariatric users. Keep your vest clean with a washable Comfort Fit Vest Sleeve. 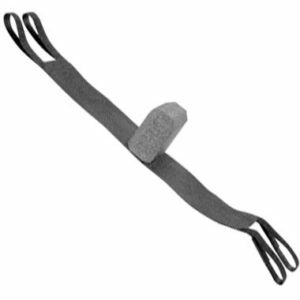 A simple hook and loop strap design connects to the footplate. 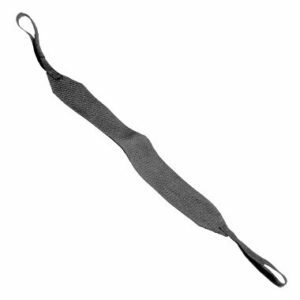 The 1″ wide straps adjust to fit around the end of the user’s shoe or foot. Sold in pairs. Manufactured by Therafin. 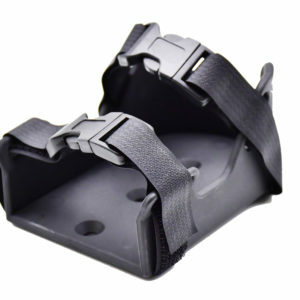 Molded Shoe Holders are designed for strength and durability. The sides are parallel to hold shoes, and the rear heel relief helps high tone individuals. The ankle strap slots are angled for a comfortable fit. 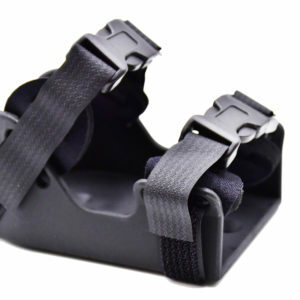 Comes with padded straps pre-attached, and hardware to attach them to footplates. The mounting holes are 1.5″ on center. Manufactured by Therafin. 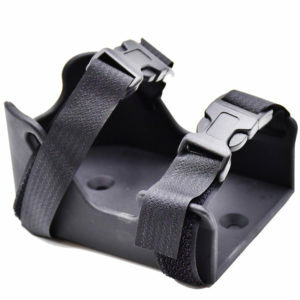 Hook and loop material holds the Thigh Strap to the wheelchair frame, which is positioned over the legs to hold them in place. 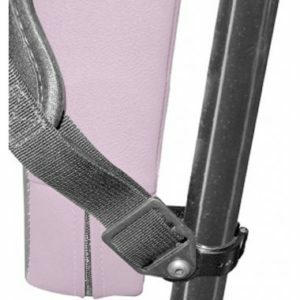 18″ x 4″ panel, and each end strap is 9″ long unfolded. Manufactured by Therafin.